War is reaching a pinnacle point on Ravnica as the newest expansion MTG War of the Spark spoilers continue to flood the inter-web. Packed full of 36 planeswalkers, all heading to the battlefield, it’s set to release at the end of April. This newest leak, however, is not another planeswalker. Instead, Awakening of Vitu-Ghazi is an instant with Selesnya roots. With so much power being focused on Izzet and artifacts, it’s nice to see the Selesnya guild getting some love from Wizards of the Coast. Awakening of Vitu-Ghazi is a five-mana (two green) instant with a whopper of an ability. 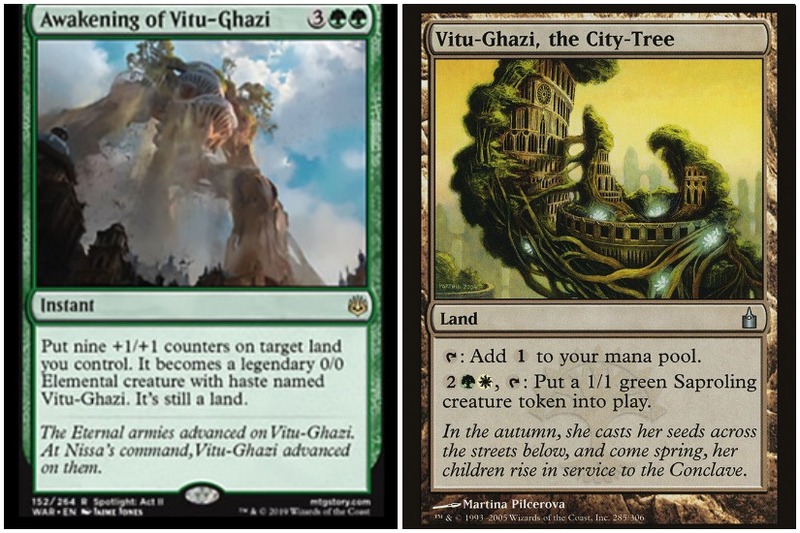 Vitu-Ghazi is a tree with the power to place nine +1/+1 counters on target land you control. The land then becomes a 0/0 elemental creature with nine tokens on it, making it a 9/9 with haste. However, the elemental creature is still considered land. The only thing missing from the Awakening of Vitu-Ghazi is giving the elemental creature trample, but haste is good for now. Mono green and Selesnya players are sure to jump over this instant in both Limited and Standard play. Even control decks might find a way to use Vitu-Ghazi as an easy win condition, making this spoiler from MTG War of the Spark a great addition to the Ravnica set. War of the Spark releases April 25, 2019, on MTG Arena. 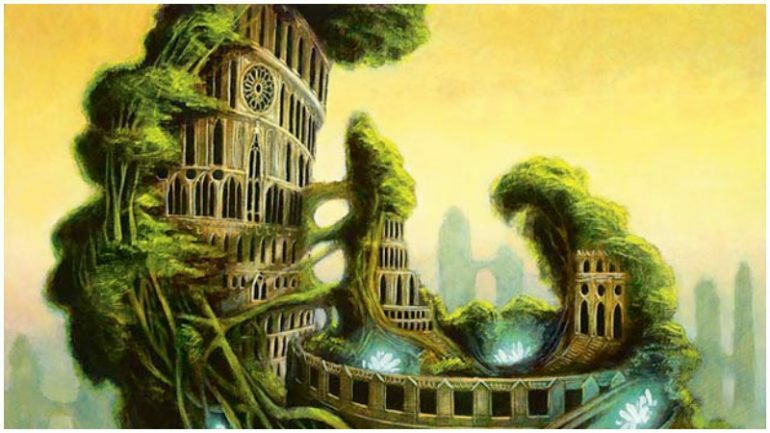 The pre-release will take place on April 27 for the start of London MagicFest.